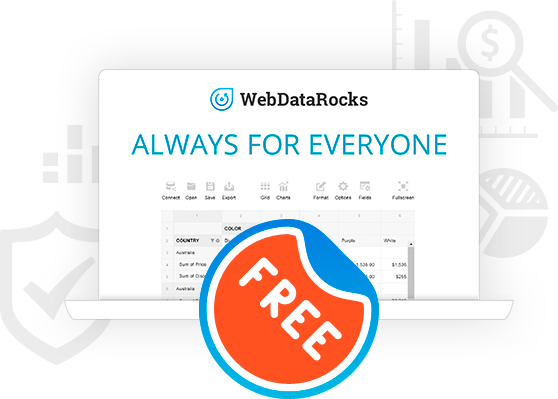 Pivot table control is free for everyone. It means you are able to start a new reporting project or data analytics startup with no risk. It opens up new opportunities for turning your ideas into a reality. With a few lines of code, you are ready to start analyzing data on your website. Yes, it's that simple! In less than five minutes you will get all off-the-shelf reporting features running. No developer is needed to start creating reports. 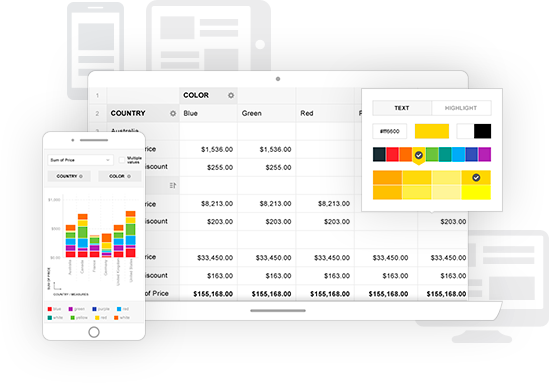 You will get a full set of pivot table analytics capacities wrapped up in a modern and adaptive design. 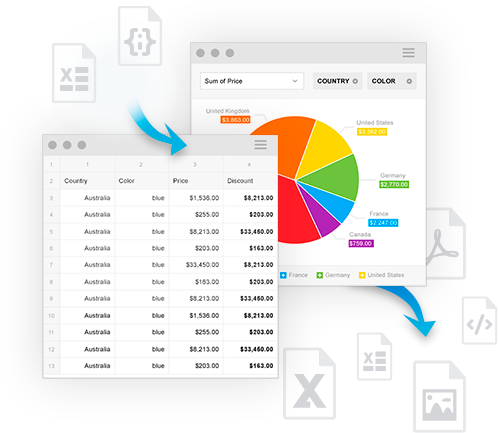 Features like filtering, sorting, grouping, conditional and number formatting, calculated values, totals are available for efficient work with your data. 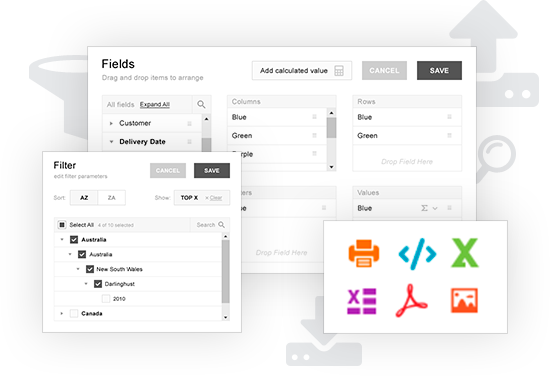 On top of that, you can print or export your web report to PDF, Excel or HTML with just one click. 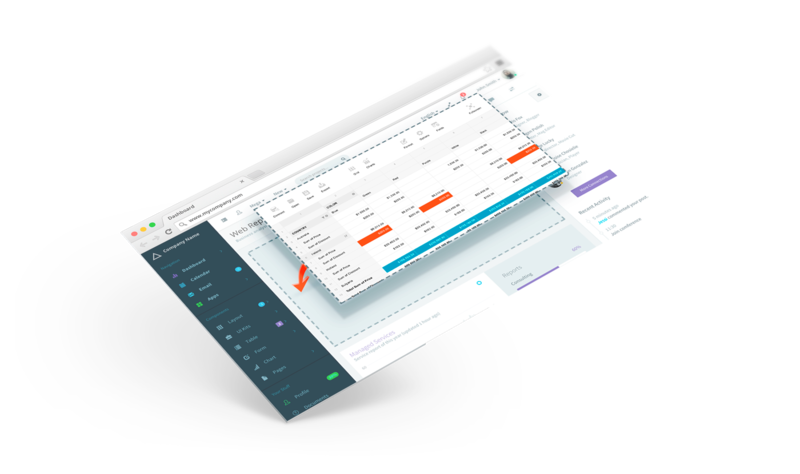 The tool offers a classy spreadsheet-like interface optimized both for browser and apps. You will not have to spend time and money on its completion. All principles of reliability and excellent user experience are already implemented in this web reporting tool. The power of fast online data visualization in a few minutes after integration. Yes, it's possible! Just download and try it yourself!